Routine gets things going, but every once in a while, you find yourself looking to add some excitement to an otherwise boring and monotonous day. Break out from your usual and welcome a change in pace. 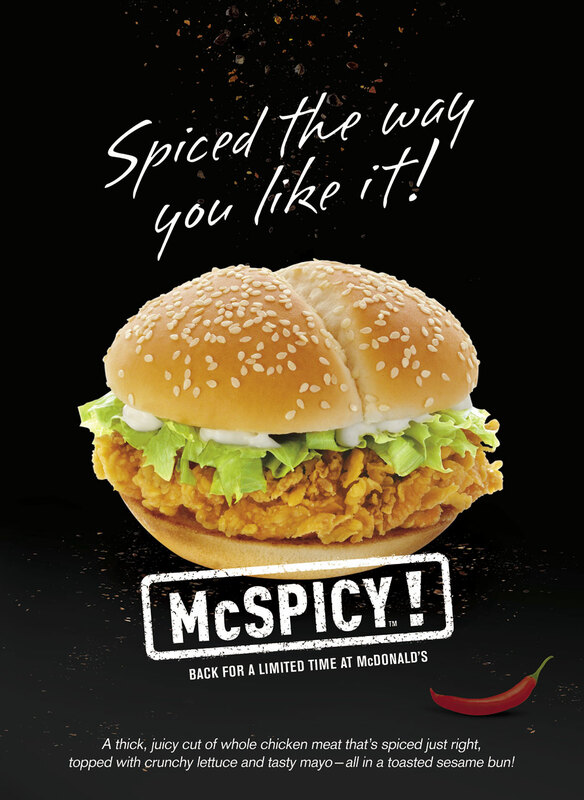 Try something thrilling as McDonald’s brings back the answer to your craving—the McSpicy! Bite into the McSpicy, McDonald’s comeback burger, made with a juicy cut of 100% whole chicken meat, marinated with the perfect blend of flavors—spiced just right for the Filipino palate. It’s topped with crunchy lettuce and creamy mayo, and sandwiched in a uniquely shaped, toasted sesame bun! Balance the kick of McSpicy with its yin-and-yang match, the McFreeze, McDonald’s refreshing and icy drink, available in Frozen Coke and Frozen Royal. Just when everyone thought that McSpicy had been gone for too long, McDonald’s delights customers again with a new TV commercial featuring Elisse Joson and McCoy de Leon, the rising loveteam popularly known as “McLisse.” Could it be that like McSpicy, there is something more to them than meets the eye? See for yourself by watching their newest McSpicy feature on this LINK. 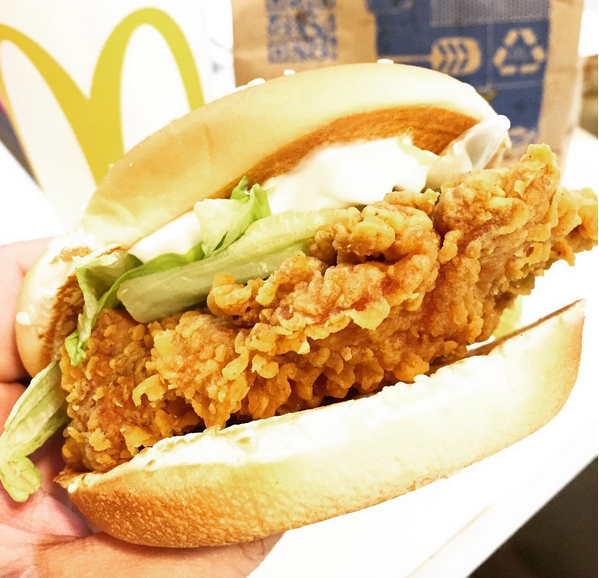 Treat yourself with McSpicy and share your photos on Facebook, facebook.com/McDo.ph or tag @McDo_PH on Twitter or Instagram.